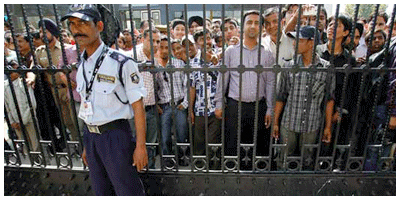 Trained Security Guards In Delhi For Your Service: Just At Secura! Every security manager dreams to have a team of professionals that are capable to provide unfailing security services to clients in every situation. While recruiting, they often look for apotheoses and Secura Security Agency is fortunate to have a team of experts and well-trained security offers that are known for their dedication towards providing excellent security services. Professional Training: Our security personnel are effective and proactive to take action towards any emergency situation. They are trained to perform best of their jobs at industrial unrest, security patrolling, filling FIR, keeping a record of vehicles, material etc. Physical Training: This training includes unarmed combat, drill, physical naturalizing so that they remain ready and fit to deal with every situation.